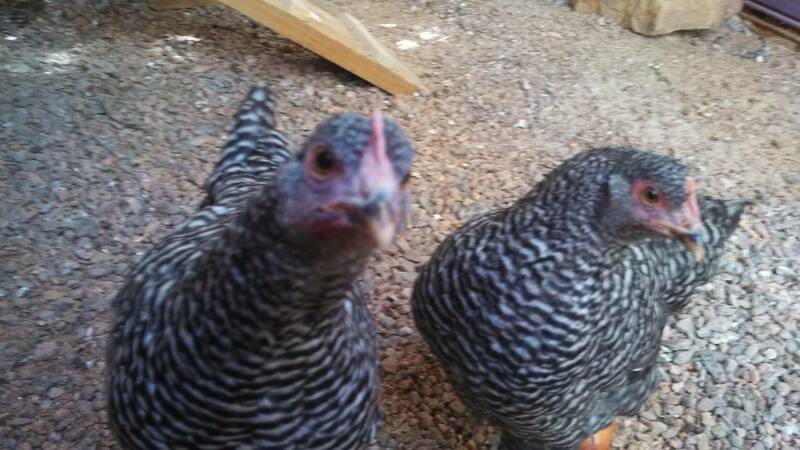 Chiken Lips « Clarisse + Bluey = Barred Plymouth Rocks. George, Crab + Enchilada = Easter Eggers. 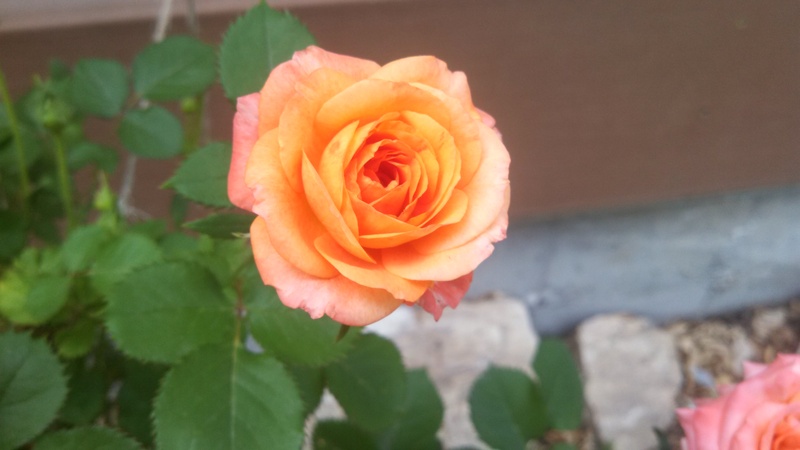 Watch closely as I transform our small, city yard into an impressive urban farm. 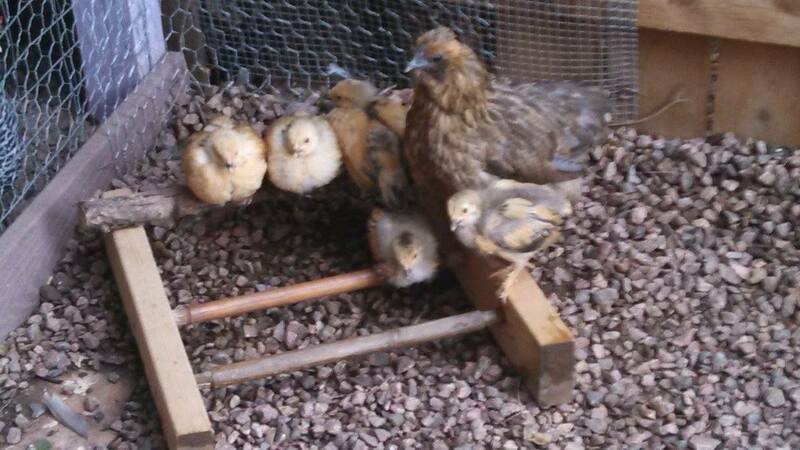 We currently have 13 chicks in/at our home. 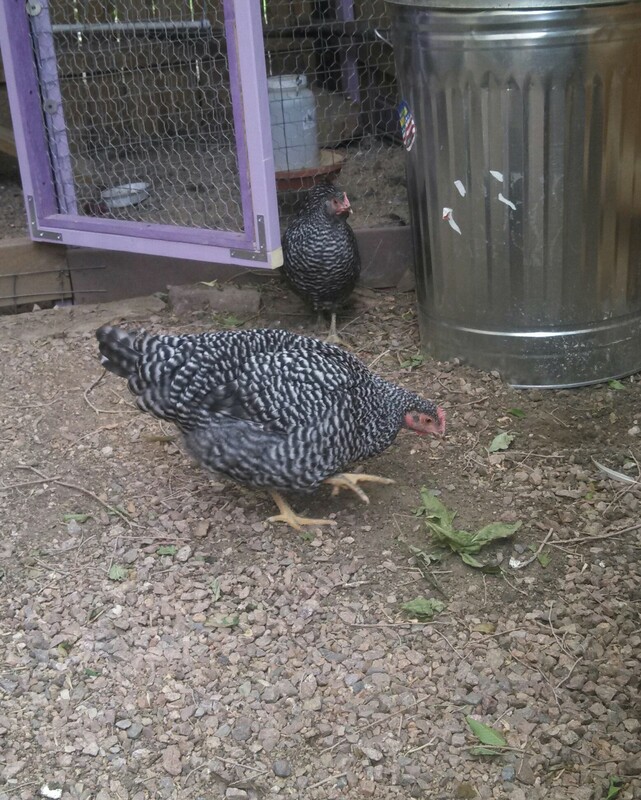 George is raising our two Silver Laced Wyandotte’s. 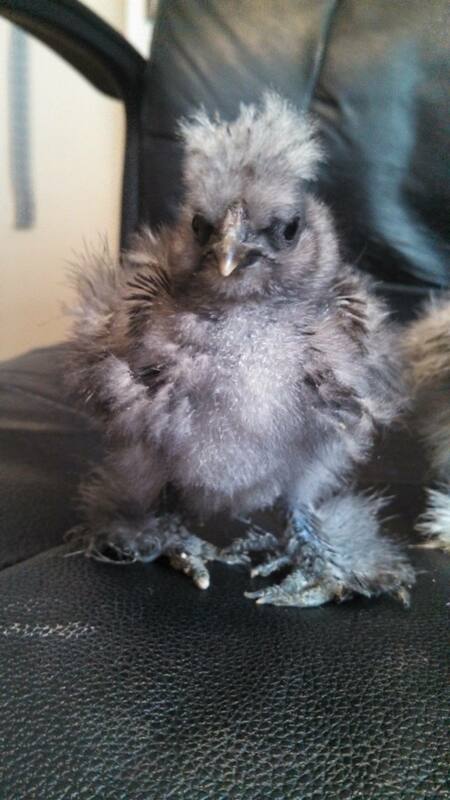 We have 2 silkies, 1 silkie mix, 3 TURKEYS!, and 5 mixed bread chicks in the brooder in my office. All very cute and all very fun. 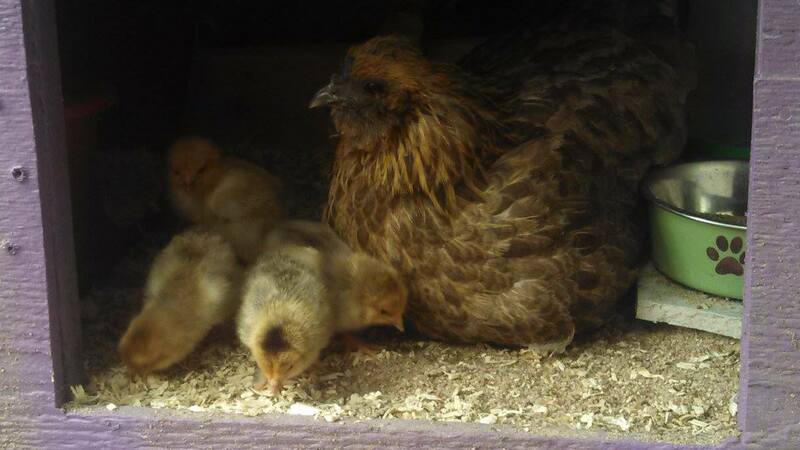 All the chicks Samantha hatched at school. 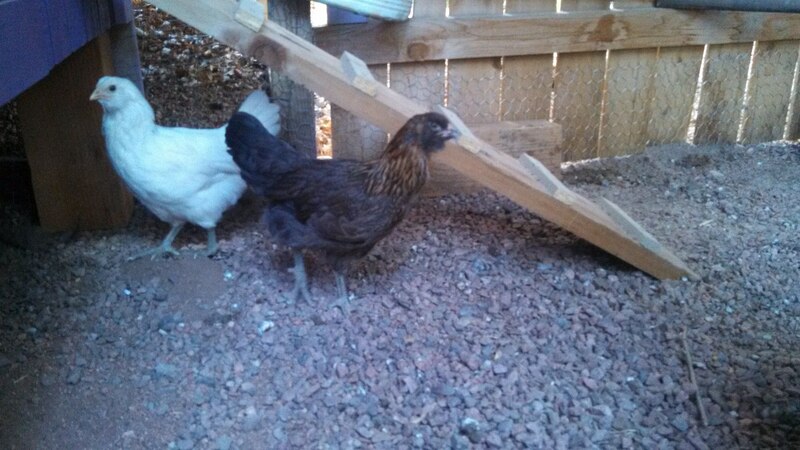 and the big girls are laying eggs like crazy. 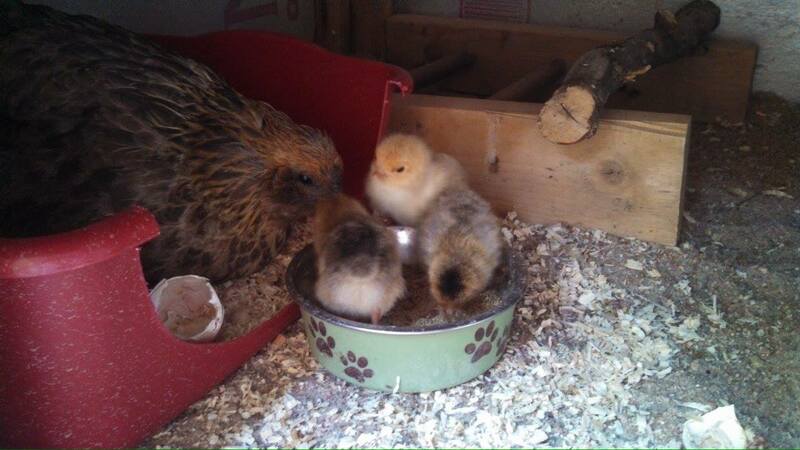 5 hens and I get 4 to 5 eggs every day! Well, George has gone Broody. What is Broody? Well it’s when a chicken gets the urge to sit on eggs to hatch them. George currently has been sitting on golf balls for about 5 days. Yes, golf balls, they give her something that can’t go “bad” to sit on. I have been removing all eggs I find as soon as possible. 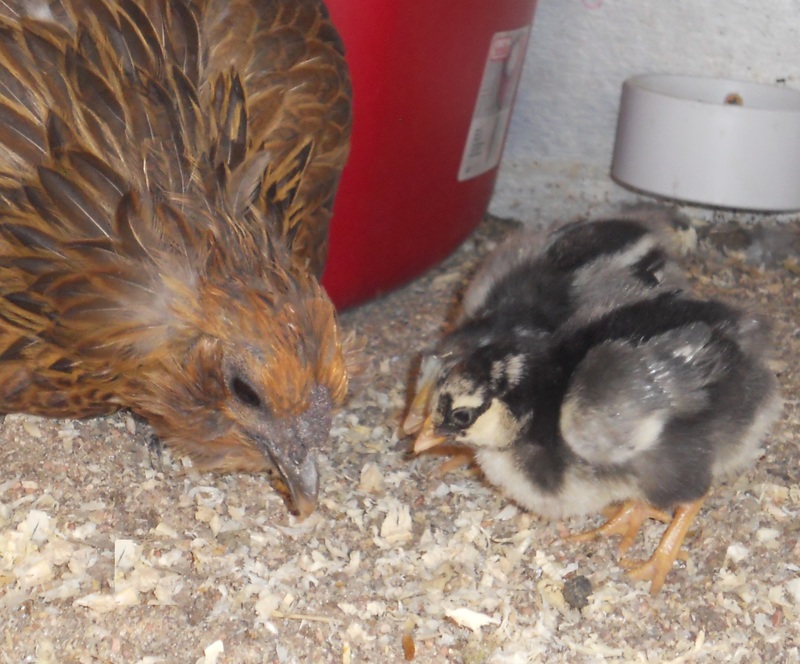 I am hoping to get her some fertile eggs on Thursday (looking like some Buff Brahma eggs will arrive Thursday morning) and move her to the old dog house (the new broody house, AKA Maternity ward/Nursery) to incubate and raise some chicks! I will add more later on this excitement! Bluey laid her first egg last Wed and has laid an egg almost every day since. She was 21 weeks old. I am sure Clarisse will start any day now, she seams to be a week younger. I go this great light to product test! It is a battery operated Motion-Sensing Spotlight with Remote Control. It’s lighting up the coop at night if I need to go lock the girls in after dark and will turn on if anything tries to get in after dark. My nephew helped me install and adjust this light to work when someone (or something) is near the front of the chicken coop. I love how easy it was to install, even easier to adjust and the remote control option is wonderful. I can turn the light on by remote before I walk out to lock the girls in for the night and if a raccoon of fox get in the Motion-Sensing Spotlight scares them away. It’s been a while, so I thought I should post. 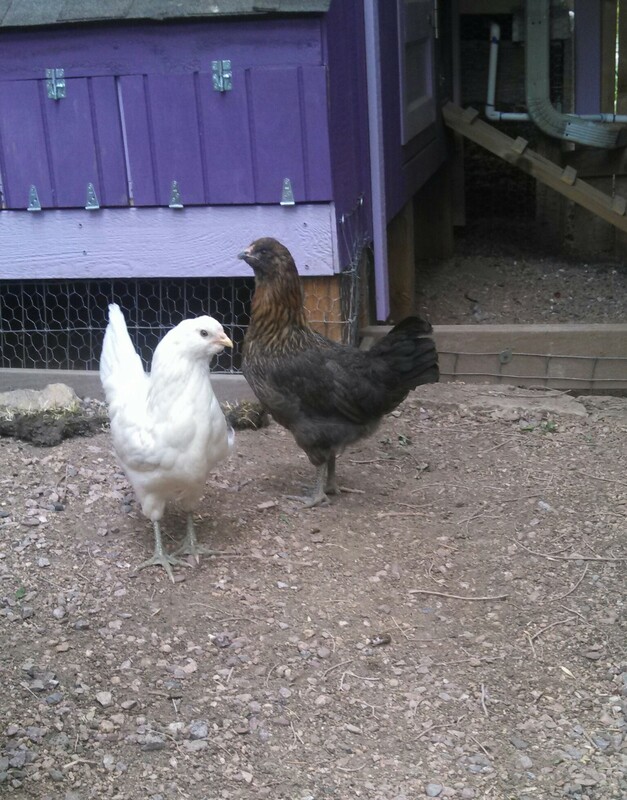 Bluey and Clarisse are getting to look like chickens. 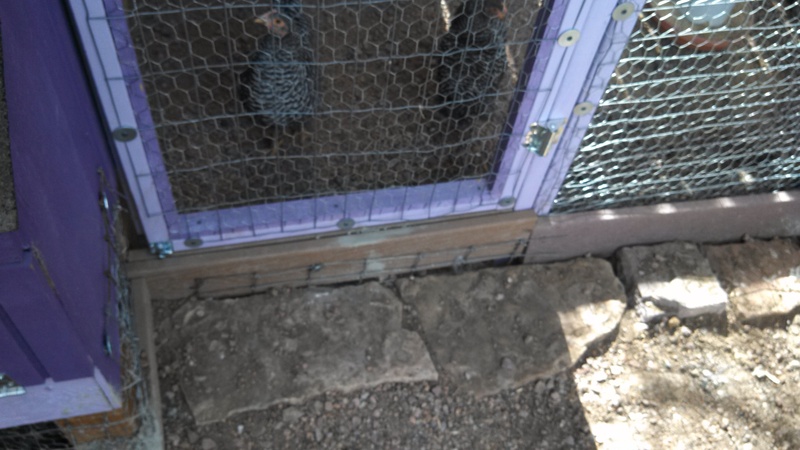 They are 17weeks old this week, so we will hopefully get some eggs in the next 4 weeks from them 🙂 I have been letting them out into the extended run area. 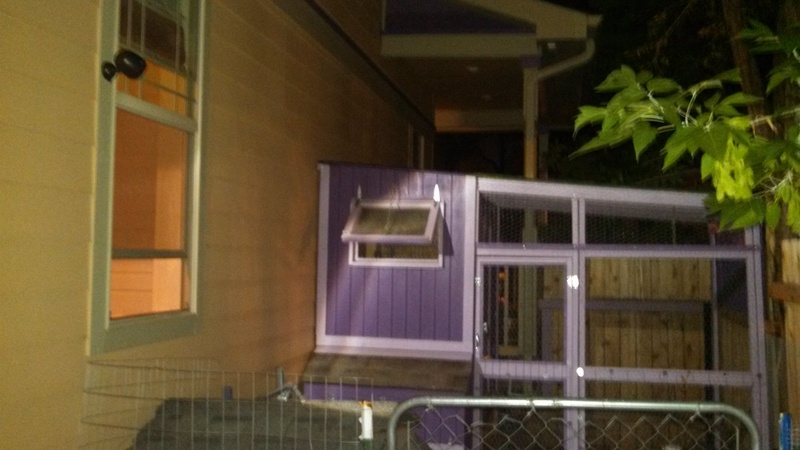 They like it, but since it’s only a 4′ fence and a dog house they keep thinking about making a break for it. I have to figure out something else to do to keep them in the yard. May have to clip some wings soon. 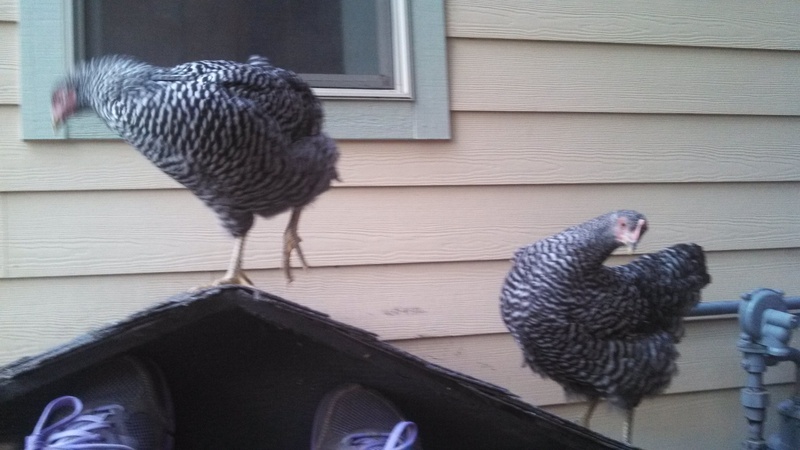 Not sure if it’s true, but I’ve read and been told to expect our barred rock pullets to start laying eggs when they are about 16 to 20 weeks old. So we are in that range now 🙂 I am expecting closer to 21 to 22 weeks, but sooner would be neat! The little girls arn’t so little any more… they are almost as big as Bluey and Clarisse! 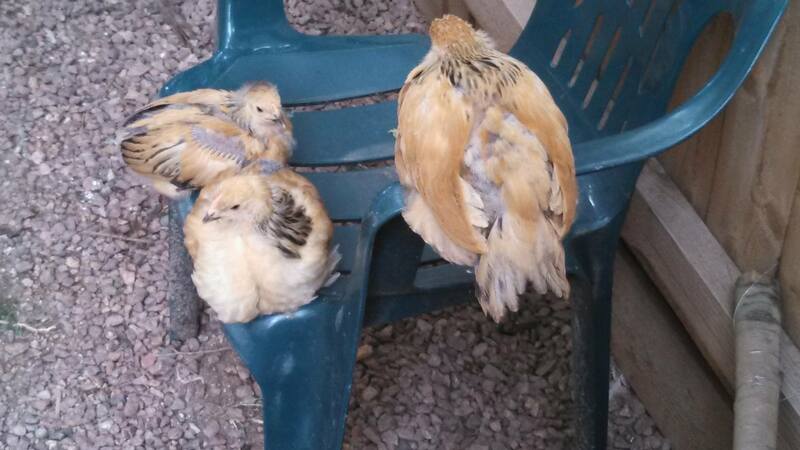 They are also enjoying the extended run and are starting to get used to me but still won’t let me touch them. They have not let me pick them up since the dog attack all those weeks ago. Crab & Enchilada are 11 weeks old today! A few weeks ago I got a compost bin from my father-in-law. I still need to find the right spot in the yard for it and get it started. 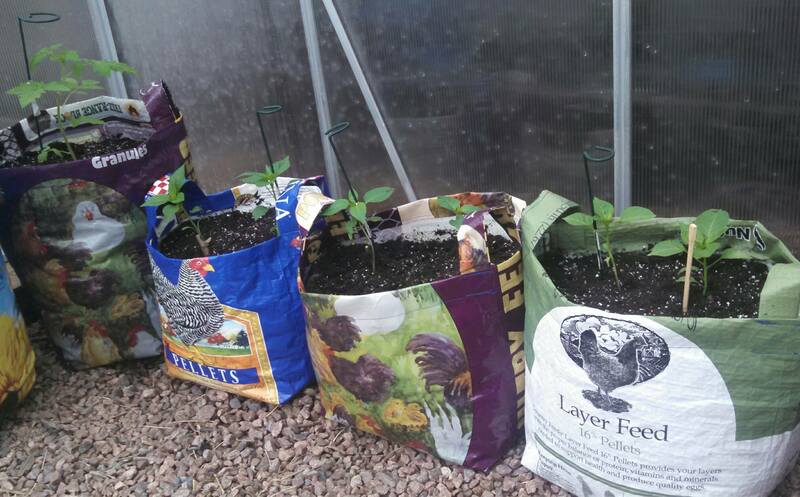 How many of you have a compost bin? What is the best placement. I have a nice corner it fits in, but it’s shady and near the kid sand box. 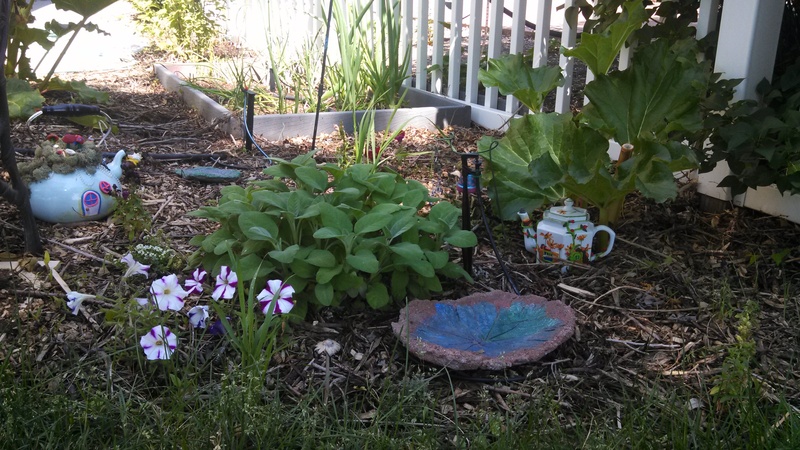 Then i have a part shade area near the big garden and pumpkin plants. 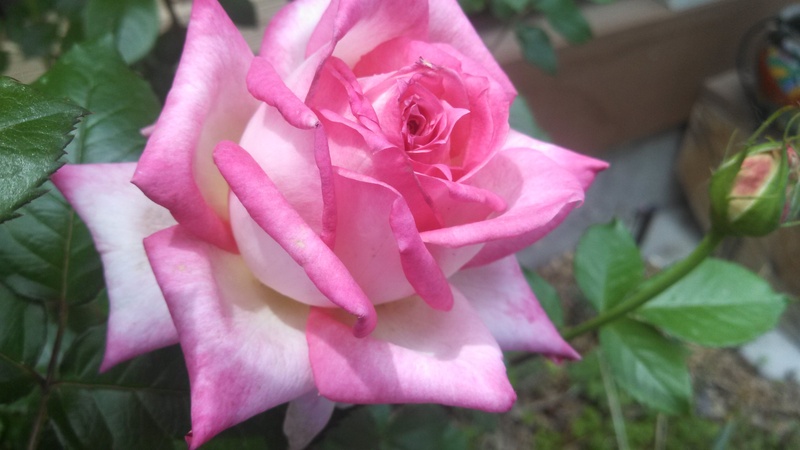 In other news… my gardens are looking GREAT! We are back from a one week vacation and boy did those girls get BIG! They are also spoiled rotten. 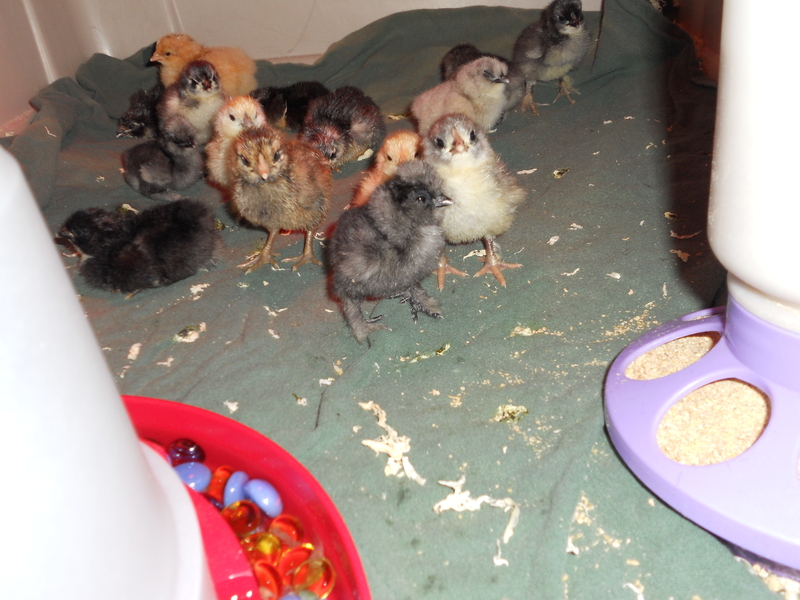 The people taking care of them gave them apples every day and lots of meal worms. Whenever they see me they think I am bringing more treats to them. So funny. 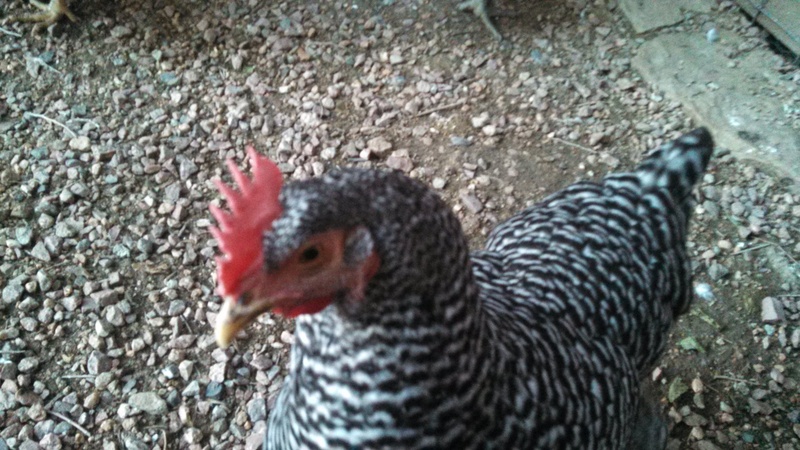 BTW, chickens are so noisy when they put themselves to roost at night. They make such a racket it makes me laugh so much. It’s like they are fighting over the best spot to roost. 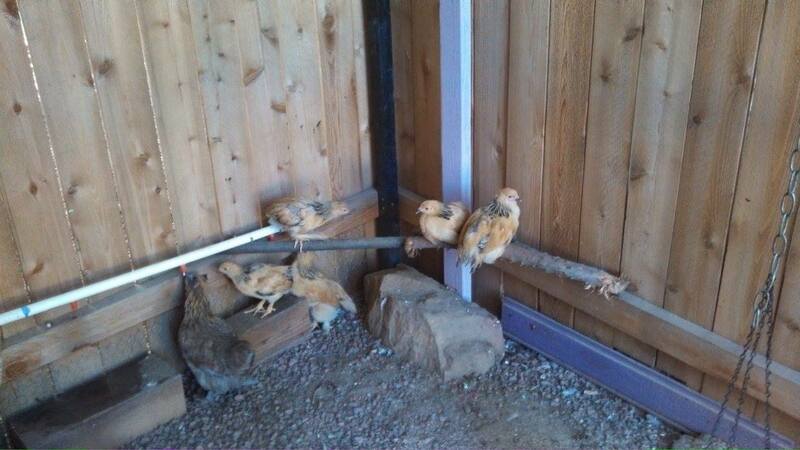 They have 5 roost bar options from 2′ long to 4′ long and the 4 of them squeeze on the last 2′ of a 4′ bar. We were hoping to replace George, but it looks like that will not be happening this year. 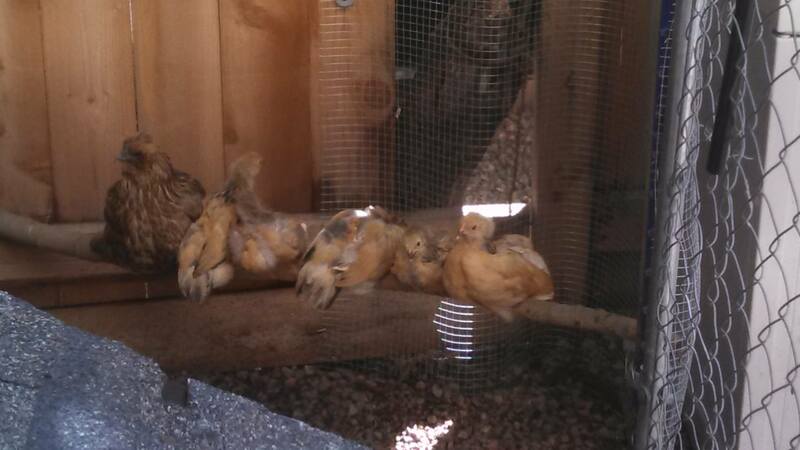 Next spring we will get some new chicks… or maybe some older pullets. I will spend the winter researching what we want and order 6 or so… I mean we have to have extras in case of another death, right. All I know for sure is I want a Blue Lace Red Wyandotte 🙂 and maybe a Silkie or two. 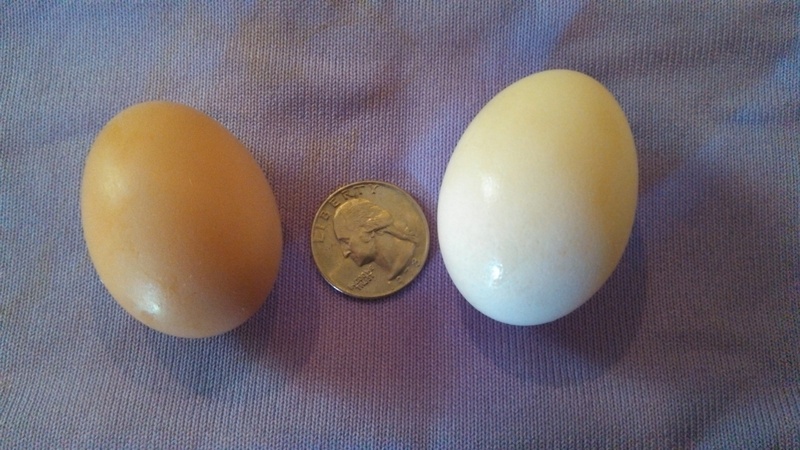 They are not big egg layers, but so pretty. 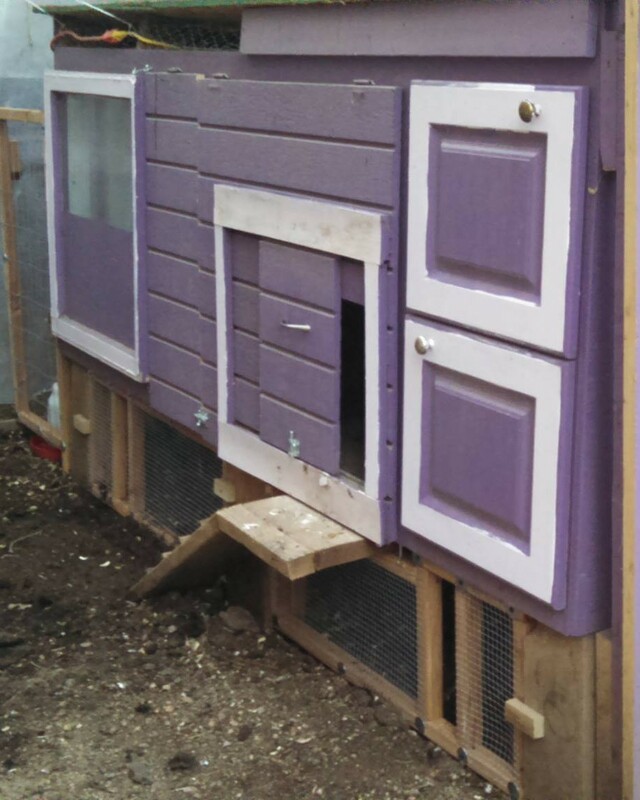 We spent the weekend fortifying the chicken run. Matt is now calling it Ft. Knox. 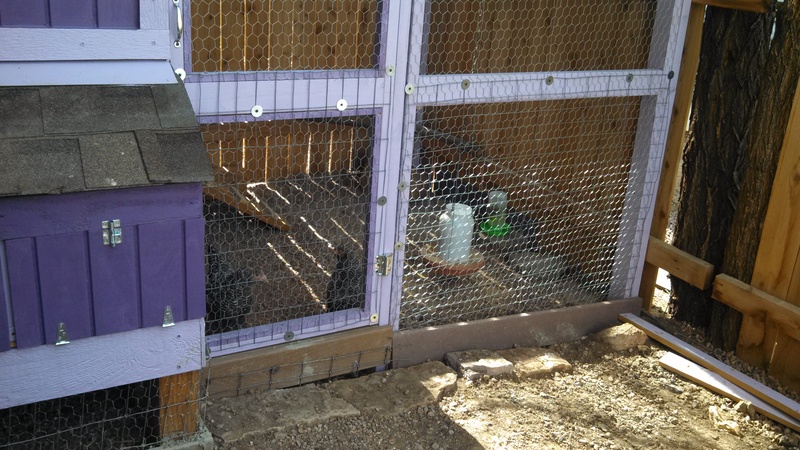 Then I moved one of my garden cabinets (to now hold chicken stuff and am adding a chainlink gate about 6′ from the coop/run area. 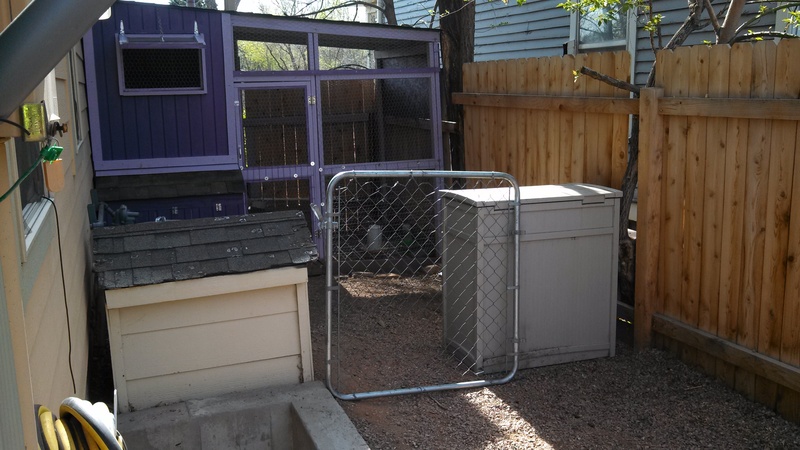 I still need to add a post and something to the old dog house (that the dogs do not use) to make the gate work. If Noodle gets through that then is a magician. Then last night we finished the 5 gal. 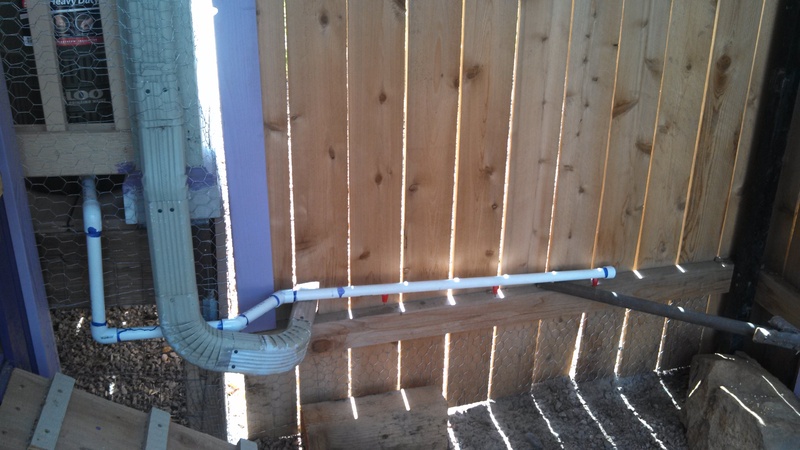 automatic chicken watering system. We are using Matt’s old 5 gal. mash tun cooler (used for soaking grains when making beer). He got a bigger one and this one was just collecting dust. I like the idea of the cooler, that will almost always be in the shade, so the water should not get hot in the summer and the light cannot get in so we should not have an allege problem. We are also adding a drip line from the irrigation to the cooler so that is automatically re-fills every other day. The one thing we did think of at 10pm last night when we were finishing this project up with head lamps, is that we should add a valve to the PVC pipes to drain the system for cleaning. We can do that when we return from our AZ vacation in a few weeks. Now I have a few months to figure out a way to keep it from freezing in the winter. The two older girls have already figured out how to use it!